Xiaomi has teased its new Mi Notebook Air launch for tomorrow. The company will be unveiling the notebook in China on March 26. On its official Weibo handle, Xiaomi teased the weight of its upcoming Mi Notebook Air as 1.07 kg, which turns out to be lighter than the MacBook Air. Xiaomi launched the original Mi Notebook Air back in 2016. The device was set up as a direct rival to Apple's MacBook Air, with its thinness and light weight, and with similarities in the designing. 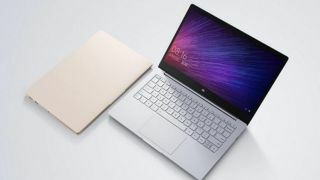 Now Xiaomi claims to have developed an even lighter notebook, weighing 1.25 kg, lighter than even Huawei's MateBook 12 which weighs 1.3 kg. This was first reported by Mydrivers. In China, Xiaomi sells Mi NoteBooks of multiple sizes via its official Mi Store. Currently, the 2018 variant of the 15.6-inch Mi Notebook starts at RMB 3,399 (about Rs 34,000). There are other variants featuring Intel i3/i5/i7 chipsets, in addition to the smaller display size of 13.3-inch notebooks. For the latest variant of the Xiaomi Mi Notebook Air, one can expect hardware upgrades with the latest ports, and of course the 1.07 kg weight which was teased on Weibo. Not many details are available, but at least 8th gen Intel Core processors are expected, along with upgraded RAM and SSD options. In terms of design, Xiaomi is likely to stick with the Mi Notebook design language from its predecessors. The official launch is scheduled for March 26 in China, so further details are just a day away.